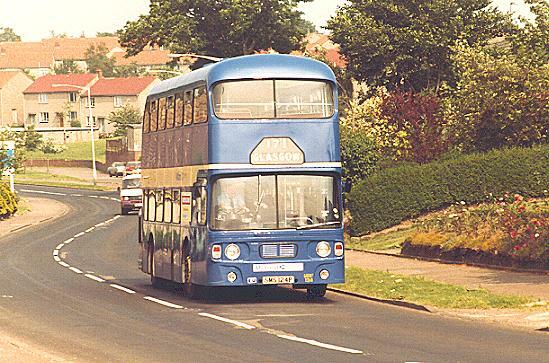 Midland MRF124 (SMS124P) in lush Lenzie on the (171) to Glasgow in July 1983. 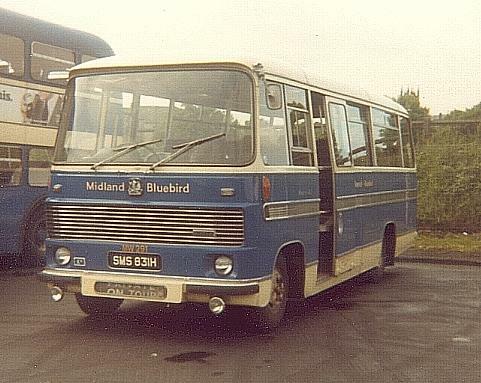 This service was normally the domain of MPE280/3/5 (GMS280/3/5S) Kirkintilloch provided coaches for all Midland extended tours to England. Duple/Fords MT24 (KLS781N) and MT1 (PWG467M) are seen during their pause for lunch at Stranraer on the (A32) to Llandudno in May 1976. Something rotten in the state of Kelvin. 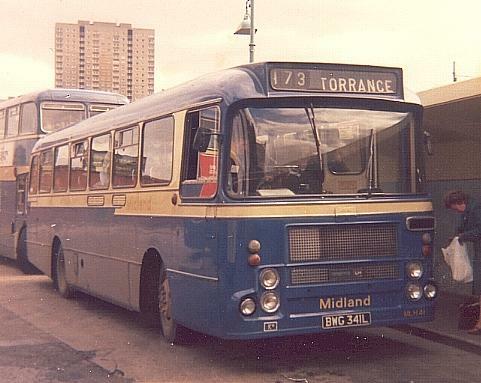 LMS164W a former Kirkintilloch vehicle that passed from Midland to Kelvin to Midland and then to Kelvin. This photo taken in March 1993. Work it out for yourself. Baby batches. 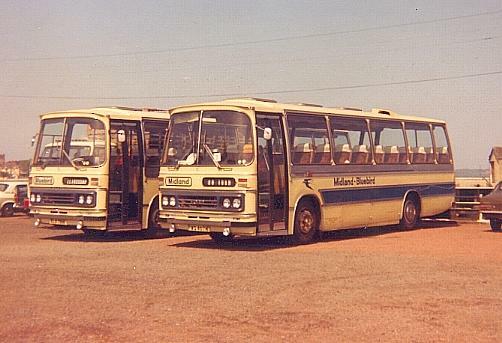 Midland bought several small batches of small vehicles. 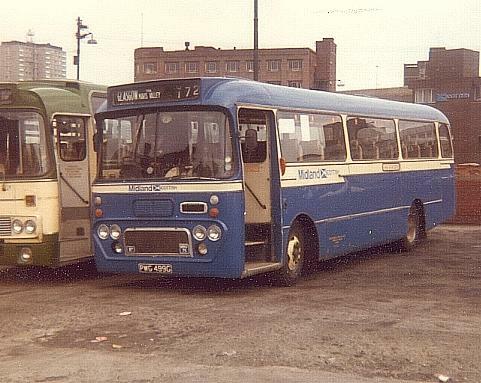 Left: MLH41 (BWG341L), one of only three bus bodied Bristol LH6Ps, at Dundas Bus Station in April 1976; Middle: MW291 (SMS831H), one of seven Bedford VAS5s, at Kirkintilloch Depot in July 1978; Right: Midland had the bright idea of re-painting its remaining Albion Vikings into bus livery just before withdrawal - MNV75 (PWG499G) is seen in the former Dundas Bus Station in August 1982. Buchanan Galleries shopping centre now occupies this site.